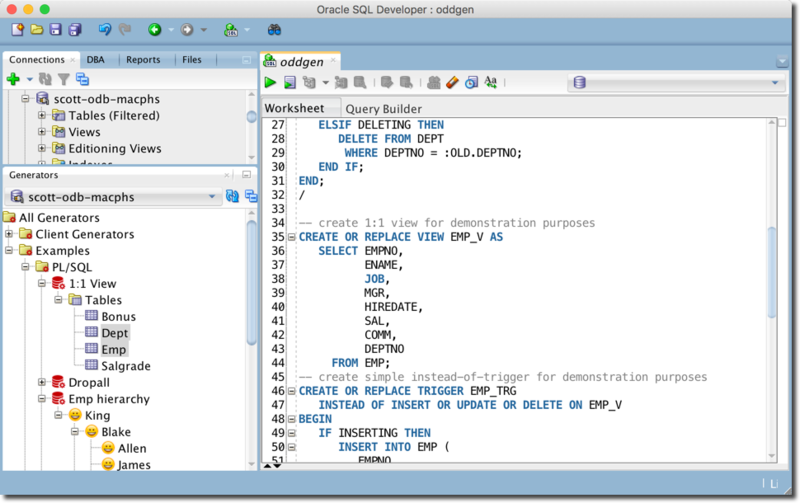 oddgen is an Oracle SQL Developer extension to invoke dictionary-driven code generators. Dictionary-driven means that the predominant part of a model is stored in the data dictionary of the RDBMS or in related data stores. 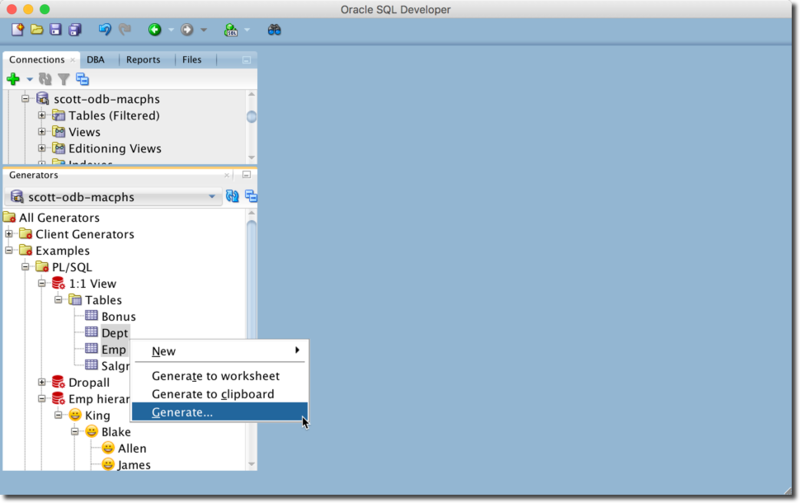 Generators written in a JVM language or in PL/SQL are discovered after connecting to a database and presented in a navigator tree. 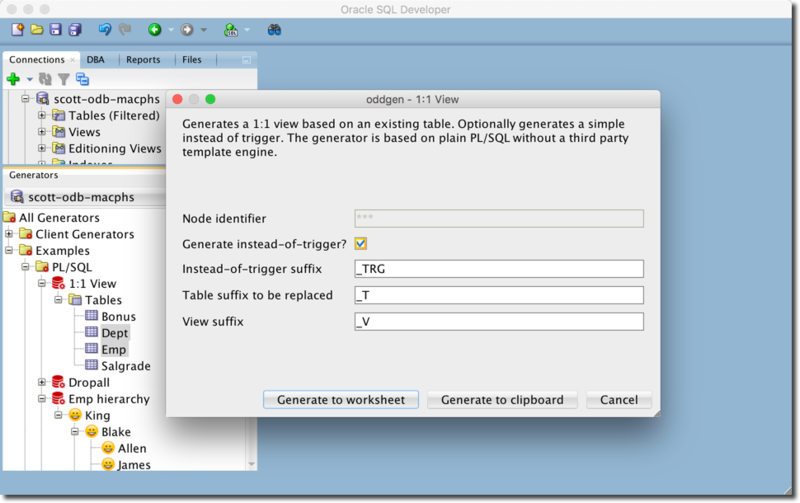 PL/SQL packages with a known GENERATE function signature are registered as database server generators. Java classes implementing the oddgen interface found in a jar file within the SQL Developer extension directory are registered as client generators. The oddgen generator interface is designed to hide the complexity from the user and to support generation of any target code in just a few mouse clicks. A simple generator implements just a GENERATE function. If you need more than you may implement some of the various optional functions to meet your needs. Copyright © 2019 Philipp Salvisberg. All Rights Reserved.